Drop, fine silver, 6x4mm oval bezel cup setting with open loop. Sold per pkg of 10. Item Number: H20-2020MT Have a question about this item? 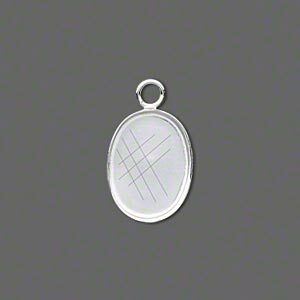 Created especially for Fire Mountain Gems and Beads, fine silver bezel cup settings are extra moldable, making it easier to set cabochons. 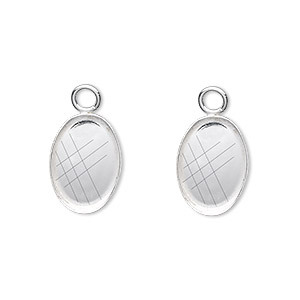 The pure silver allows the bezel to be burnished down onto the cabochon stone for a smooth, exacting fit. 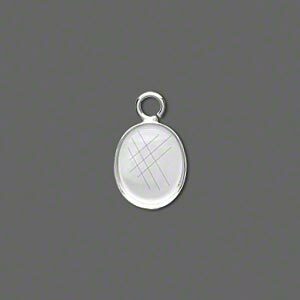 The bezels are designed with loops to create instant pendants, charms and earring drops. The pre-polished bezel settings can be soldered, glued and fired. May be used in art clay fabrication--set stone after firing. 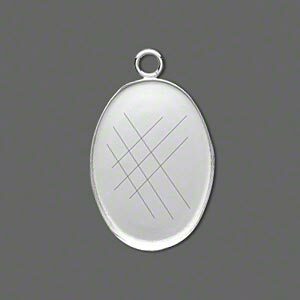 Created with .999 fine silver. 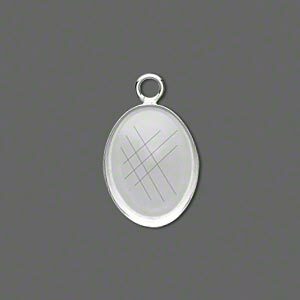 Drop, fine silver, 8x6mm oval bezel cup setting with open loop. Sold per pkg of 10. Drop, fine silver, 7x5mm oval bezel cup setting with open loop. Sold per pkg of 10. 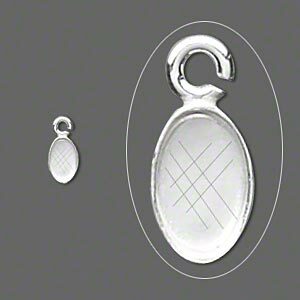 Drop, fine silver, 18x13mm oval bezel cup setting with open loop. Sold per pkg of 2. Drop, fine silver, 14x10mm oval bezel cup setting with open loop. Sold per pkg of 2. 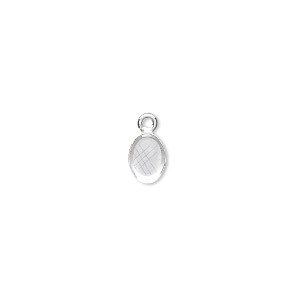 Drop, fine silver, 25x18mm oval bezel cup setting with open loop. Sold individually. 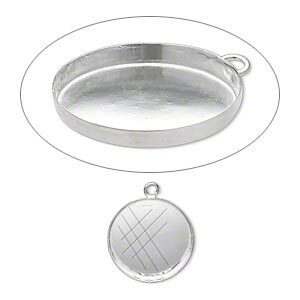 Drop, fine silver, 16x12mm oval bezel cup setting with open loop. Sold per pkg of 2. Drop, fine silver, 10x8mm oval bezel cup setting with open loop. Sold per pkg of 4. Drop, fine silver, 12x10mm oval bezel cup setting with open loop. Sold per pkg of 2. Drop, fine silver, 6mm round bezel cup setting with open loop. Sold per pkg of 10. Drop, fine silver, 25mm round bezel cup setting with open loop. Sold individually.